Oceanographer Paul Durack of the Laboratory's Program for Climate Modeling and Intercomparison (PCMDI) recently opined about the importance of ocean salinity observations and needed urgent attention for the ocean observing system in the journal, Nature Climate Change. The global water cycle—where, when and how it rains, and the corresponding changes to water availability—are as pressing an issue as any when it comes to climate change. The global ocean is a great place to ascertain observed water cycle changes, as it contains 97 percent of the Earth's water and is where 80 percent of fluxes—water exchanges at the Earth's surface—occur. The backbone of historical ocean measurements dates back to ocean research undertaken on the original RV Challenger cruise in 1872. 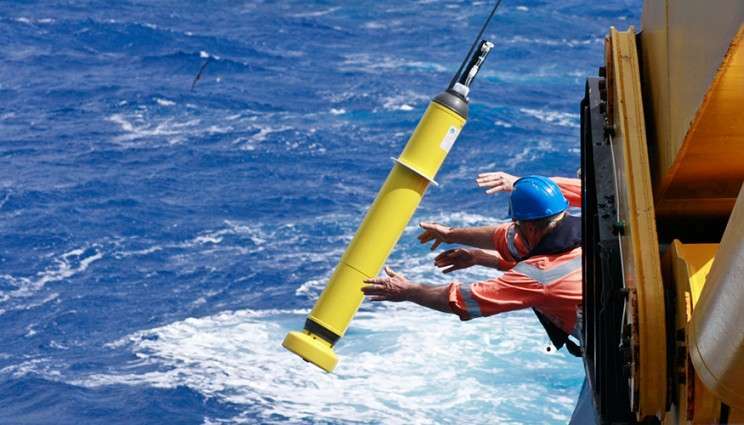 Data from subsequent research cruises have been enhanced since 1999 by automated profilers called Argo, and a coherent global network of repeat ocean sampling undertaken by the international GO-SHIP Program. Argo has provided the first continuous, near-global salinity (and temperature) observing system, cycling at 10-day intervals in near real-time and taking measurements for the top 6,600 feet (2,000 meters) at a target density of one float per 3.3 degrees of the global ocean. This has significantly increased measurement coverage and density, particularly for the Southern Hemisphere that has been the focus of recent LLNL research. The commentary highlights the precarious situation for global ocean measurement, particularly in the Southern Hemisphere, and the critical dependence on each and every nation that contributes to measurement coverage and continuity. In response to a recent announcement to slash the climate research capacity at the Australian CSIRO, one of the few Southern Hemisphere climate research centers, almost 3,000 international researchers from almost 60 countries have written an open letter condemning these cuts. With new data showing that 2015 was the hottest year since instrumental records began, and with even larger changes expected into the future, it underscores the importance of this comprehensive observing capacity for the global climate system—in which the global ocean plays a very large part. "Considering that the ocean has been responsible for more than 90 percent of the additional heat storage in the climate system, and the crucial role it plays in the global water cycle, it is fundamental that we maintain and augment our current ocean observing capacity now and into the distant future," Durack writes. Any help to identify if this is a Meteorite?